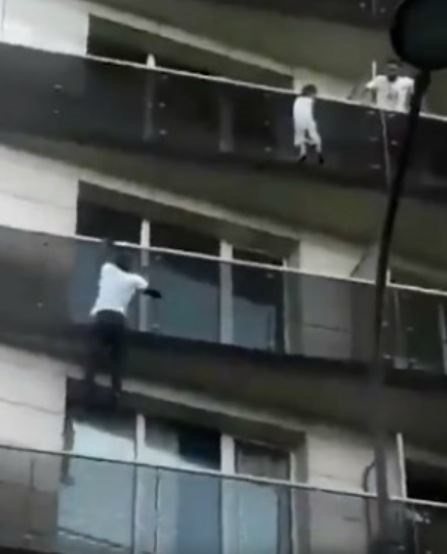 A young African immigrant has been dubbed as a real life Spiderman after he climbed on top of a four storey building to rescue a dangling boy in Paris. 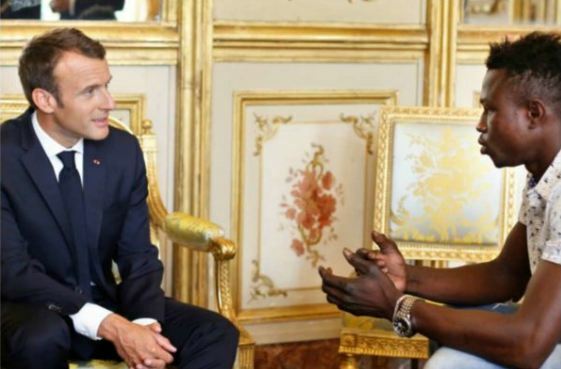 According to AFP News, after the footage of the incident surfaced on social media, the 22-year-old Mamoudoe Gassama was invited to meet the French president Emmanuel Macron in respect to his brave act. It has been established that upon meeting with the president today on Monday 28th May, the black Spiderman was personally thanked by the president and also given a medal for the courage as well as being offered a job as a fireman. “All papers will be put in order,” said Macron when meeting the 2018 black Spiderman. 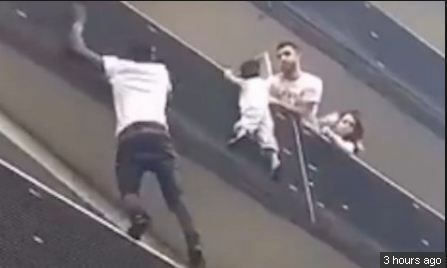 Footage taken at the scene on Saturday night around 20:hrs shows Gassama pulling himself up from balcony to balcony with his bare hands as a man on the fourth floor tries to hold on to the child by leaning across from a neighbouring balcony. Firefighters arrived at the scene to find the child had already been rescued. According to initial inquiries by the authorities, the child’s parents were not at home at the time.